The Florida Emerald Coast is well-known for the beautiful beaches, add the Destin Florida weather, the Gulf of Mexico emerald waters and you have the recipe for paradise. Fall is the perfect time to visit, in addition to the weather, visitors enjoy uncrowded beaches & restaurants, hotel & dinning deals, etc. Welcome To Crystal Beach, the white sandy beaches and emerald green gulf waters are a primary reason more & more people are enjoying the north gulf coast lifestyle. This 5 BR 4.5 B home with over 4400 square feet is perfect for and vacation/second home, or for those interested in Destin Florida Real Estate Investments. The home is 3 stories with awesome views of the Gulf and a private back yard with an inground pool and spa. Notice: This is a bank-owned foreclosure property. Employees and family members residing with employees of JPMorgan Chase Bank, N.A, its affiliates or subsidiaries are strictly prohibited from directly or indirectly purchasing any property owned by JPMorgan Chase Bank, N.A. 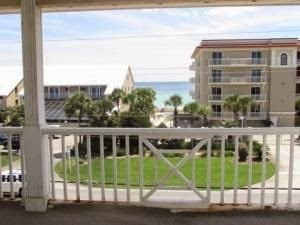 Destin Florida Condos & Houses, View Photos, etc.